This PTSA fundraiser is coming up on Monday, Feb. 13th, 7 pm, at the wonderful Grant Park Coffeehouse! 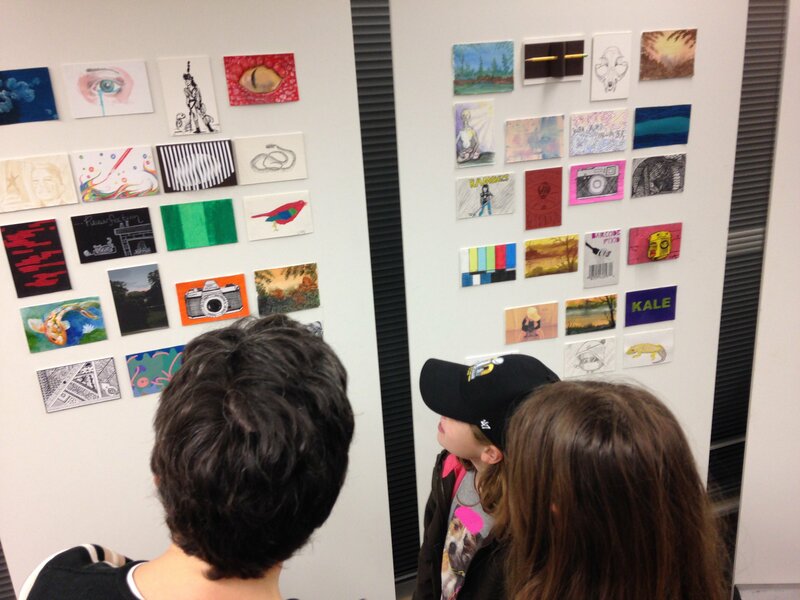 Come to the Art Postcard Show for some original art by students and other artists in our community. Buy a ticket ($5 for students/$10 for adults) and take home an original piece of art! This year, we will also be hosting a silent auction, featuring fabulous local crafts and artwork (ceramics by Candace McCullough, jewelry by Leigh Hoss, knitted shawl by Ceri McCarron, tie-dye by Kelly Hartley, and MORE!!). Don’t miss this fun evening! 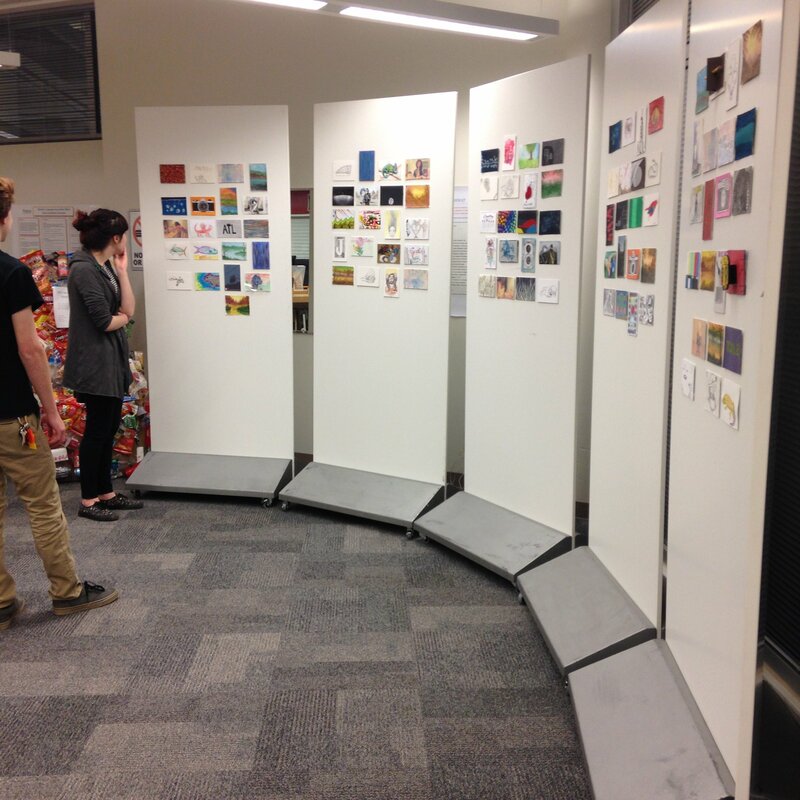 Check here for more information about the Art Postcard Show. Want to help? Check out the sign up genius for volunteers! Hi All! At Monday’s Booster Membership Meeting it was decided that we would forego this year’s Athletics Banquet and do two awards ceremonies and receptions instead. In that regard, please join us for the Fall and (partial) Winter Athletics Awards with a Reception to follow on Sunday, February 26th at 3:00pm. Teacher Mini-Grants: Deadline coming up! Teachers: Don’t miss your chance to apply for a teacher mini-grant this Spring! Grants are for up to $500, and the deadline for applications is February 21. Check out the grant information on the PTSA website for more information and to apply. Join us for a cup of coffee with Principal Stephanie Johnson! ArtED, WonderRoot’s creative skill-building program (formerly known as “Creative Explorations”) provides Atlanta Public School high school students with the opportunity to engage with a wide variety of artistic mediums, learn directly from professional artists, build community, and develop a voice on and off campus. Serving as a supplement to the APS high school fine arts curriculum, a broad range of one-time and ongoing workshops and courses are offered to students in both the fall and spring. Workshops and courses offered through this program are free for students and no previous experience or equipment is necessary unless specified. 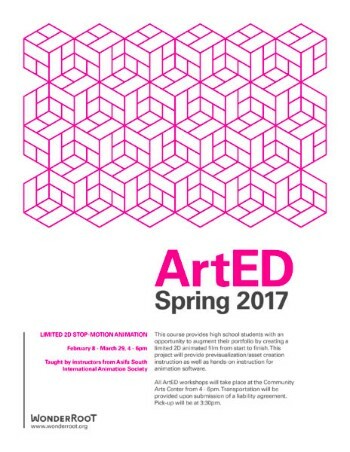 Please note that some ArtED opportunities may only be available to students at Maynard Jackson High School. See opportunities below for more details. Questions about ArtED? Please email WonderRoot’s Program Director, Stephanie Kong. This course provides high school students with an opportunity to augment their portfolio by creating a limited 2D animated film from start to finish. This project will provide previsualization/asset creation instruction as well as hands-on instruction for animation software. Students will also receive portfolio reviews during the duration of the program. The course will conclude with a live screening of the finished films and presentations of the production/pre-production materials. This class runs from February 8 to March 9. Register HERE today! All ArtED workshops will take place at the Community Arts Center from 4-6pm. Transportation will be provided upon submission of a liability agreement. Pick up will be at 3:30 pm.